For Management Vacancies : M.Sc In Microbiology or B.Sc with DIFAT or B.Sc in Agriculture or M.Sc in Agriculture or BE in either Mech/Elec/Chem Engg. With NSI/VSI with relevant experience. For Non Management Vacancies : SSC or equivalent with 1st Class Boiler Attendant certification or ITI – Fitter or SSC or equivalent with ITI(Fitter/Electrician) or Matric or Dip./Dig. Pharmacy with relevant experience. For Seasonal Vacancies : Matric or Matric + SBCC Mandatory or B.Sc (Chemistry) or Intermediate with ITI Mechanical or Electrical with relevant experience. HPCL Biofuels Selection Process : Selection will be based on Interview. 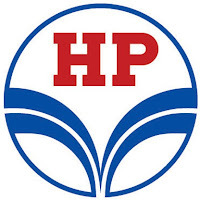 How to Apply HPCL Biofuels Vacancy : Interested Candidates may appear for Interview along with prescribed application form and attested documents of education qualification and Original at the time of Interview.